Whale watching can be undertaken in a morning, but watching whales to better understand their movements and ecology takes time – fifteen years (and counting) to be precise. 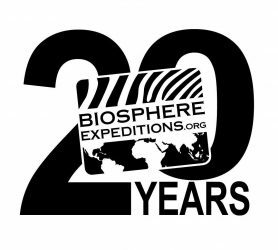 Biosphere Expeditions has just completed its 15th year of expeditions in the Azores, monitoring the cetacean movements, covering over 15 different species. Many research questions focused on the natural world cannot be addressed (with any certainty) in a month or a single year. Data collection may take a decade or longer, to reveal meaningful patterns and this is the case with the cetaceans of the Azores. Rewards can be faster. Images of sperm whales and blue whales taken this year, have already been matched to other locations in the Azores, Norway and Ireland. But many more whales have still yet to be matched, revealing the range of their movements and the importance of different parts of the oceans. This year’s project still has a lot of data to process, from 122 cetacean encounters over 22 days at sea, sighting over 1000 individuals. But some species are absent from this year’s research findings and dolphins have been found in lower numbers. With the expedition fieldwork now commencing in March, “it has also been great to get out on the water earlier in the year”, says expedition scientist Lisa Steiner, “and collect data on a range of species, across a broader time span. The value of this work is very significant, as we would not have documented the 18 blue whales recorded, or the many other species, since there are very few other boats out at this time of year”. Understanding spatial and temporal patterns of so many cetaceans is key to their long-term protection and conservation. And undertaking field research, especially when others are not around, reveals new information such as species being absent or present in lower or higher numbers compared to other years. But the true conservation context can only be gained after many years of work. “The ability to collect such data is greatly enhanced by the annual contribution of citizen scientists”, says expedition leader Craig Turner, “and underlines the value of long-term datasets in illustrating the importance of the Azores for many cetacean species”. Steiner adds that “not only are we able to match individuals to catalogues in the Azores with these data, but often from elsewhere in the Atlantic too, sometimes even beyond, elevating the power and value of the data”. In the end it will all be about appropriate conservation management based on scientific facts to ensure these much-loved whale and dolphin species continue to thrive not just in Azorean waters, but elsewhere in the wider Atlantic Ocean. That’s all folks. Once again our expedition in the Azores has come to an end. Our citizen scientist have departed, the kit is packed and now myself and An must make our travels north, back to Scotland and Belgium. We’ve collectively had a great six weeks in the Azores. I have said this before, but expeditions offer many things, including difference, difficulty, diversity, discovery and of course data. The last group have successfully added to that data in their last days, adding more records of loggerhead turtles, common dolphins, fin whales and seemingly the obligatory blue whale. I can’t remember a year on this expedition when we saw so many blues! Before we talk about the discovery and data, let me initially offer some thanks. First off, to our citizen scientists, who stepped up to the daily challenge of data collection to achieve our collective goal of better understanding the ecology of the cetaceans and turtles of the Azores. You’ve all contributed to advancing this knowledge, and making this expedition a success. Thank you! However, we must offer more thanks. Firstly to the back office staff at Biosphere Expeditions. There is always a lot of unseen work and preparation for any expedition. Secondly, thanks to Jim (and family) at Banana Manor, who have been our hosts for the past few weeks, giving us all a second home. I also extend our gratitude to Eugenio, Carey and Pete, who (amongst others) have catered for our variety of dietary needs. I must also not forget our skipper Jairo, who not only took us to sea, but ensured we knew the sea state, wind direction, cetacean locations and always got us back to port safely – thanks Jairo. And finally, our enormous collective thanks go to Lisa, our leader in all things scientific. It is indeed a privilege to share in your world and work with such a dedicated field biologist and cetacean scientist. This year we’ve collected data earlier than any other previous expedition, giving us a unique and extended insight into cetacean movements. 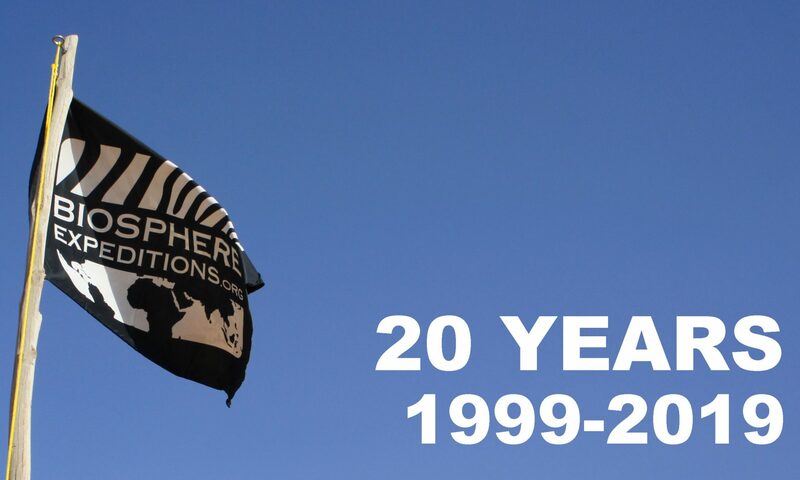 The lack of cetaceans on some days, or the challenging sea states may have frustrated us on occasion, but overall we’ve been able to amass a huge amount of data, that without Biosphere Expeditions, wouldn’t have been collected. We also already have matches for three species of whale (sperm, blue and humpback) to other locations; and we continue to work on the matching and ID work undertaken by each group. In isolation, these may just seem like bits of data, as field research rarely gives us instant results or fast answers to our bigger questions. But we’ve collected a huge baseline of data at a ‘new’ time of year for the expedition. The full results will soon become clearer in the expedition report. So what of the success I mentioned? Well, I think the summary statistics highlight the success, but success isn’t always easy to measure, particularly when it comes to expeditions. It is influenced by the people you meet, the new experiences you have, the challenges you overcome, the wildlife you see…to mention a few. Ultimately, it is perhaps most dependent on your expectations. As leaders, we are the lucky ones to get to experience most of this, but we are also exhausted. So as we prepare to depart, we offer a final thank you for all your efforts and look forward to returning next year. And as always, we let the expedition speak through its picture and the group in their own words. Expedition fieldwork challenges us in many ways. But often the greatest challenge comes from the fieldwork we can’t undertake. Bad weather is one challenge. Patience is another. And this is often, eventually, rewarded. Our last day started like so many before, with common dolphins; but we rapidly progressed to multiple blue whales and sperm whale encounters, with more dolphins and turtles to add to the mix as the day progressed. To say it was a busy day is an understatement. It was also a long and physical day – trying to stay upright on the boat for 8 hours is no mean feat! Well done Team 3 – for your patience, commitment, work ethic and for handling the weather. So Team 3 located three different blue whales, had three encounters with common dolphins, and found a group of sperm whales, where one individual breached three times! This was a first for many, including the expedition leader. Their apparent lack of grace (compared to humpback whales) means they are referred to as flying cucumbers – albeit a 20 ton cucumber – and yes, it has to be seen to be believed! Yet another reason to come to the Azores. This was also the third whale species located by Team 3. So as that infamous song went… ‘three is a magic number’! Great job Team 3! So we now enter the home straight on this year’s expedition, and look forward to meeting Team 4. We have high hopes. Team 3 is now well into the swing of things. After a whistle-stop weekend of introductions, briefings and training sessions, we were all eager to get on with the data collection. But initially things seemed against us: an injury, acquired just before the expedition, the weather, sea sickness, etc. However, the good news is that by today, not only have we already seen more common dolphins, loggerhead turtles and a fin whale, but the group also spotted the largest group of striped dolphins recorded so far by this year’s expedition (about 50). So stay tuned!